Hello again you lovely people! Today I have attempted this super easy “boho chic” hair style which would be perfect for festivals or even cute little days at the beach (unless you are in the UK at the moment). The main thing that I like about this hair style is that it can be casual or formal and its NO HEAT! To get my hair crazy mad but in a nice, kind of uniform way I french braided my hair whilst it was slightly damp and then slept in it over night. If you are thinking of doing this hairstyle for a party in the evening (on a Monday?) 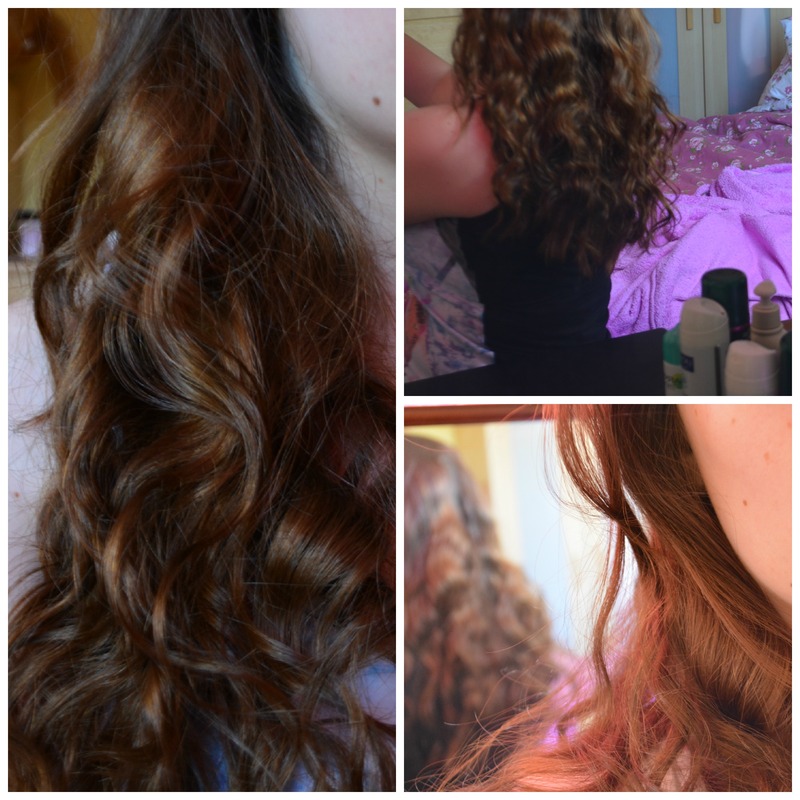 around five hours should be enough for the hair to fully dry and curl. 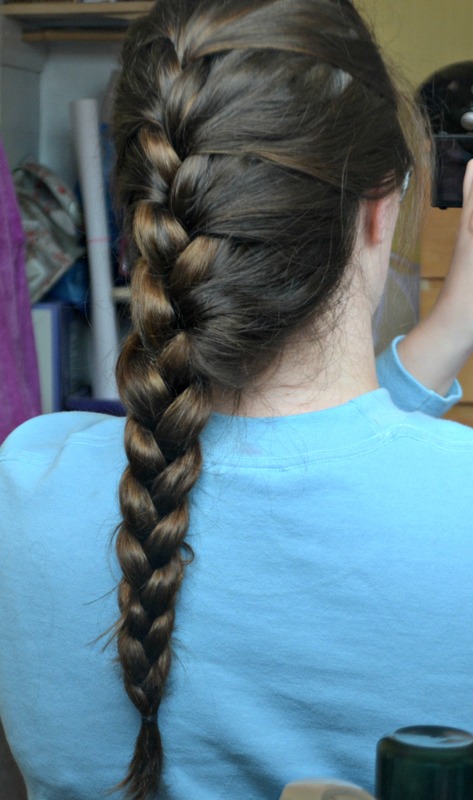 If you can’t do a french braid, just section off your hair and make around 4-8 plaits, depending on the length of your hair. This may cause the ends of your hair to be a little straighter than the rest but it still looks awesome. This is how it looked the next morning, and when I say “the next morning”, I mean about half an hour ago. The next thing you want to do is look down slightly and then grab the chunks of hair at the front that get in the way, these are the ones we are going to plait. To plait them take a small section from the top, braid it normally and then add a section of hair to the strand nearest to your face, repeat one more time, and then just finish that section with a regular braid and tie it off with a small, thin bobble/hair tie. Repeat this on the other side. Then you want to tug on the braid because that’s what the professionals do. If you have thin hair you really want to tug at it to not only make it slightly looser but to make it look thicker. 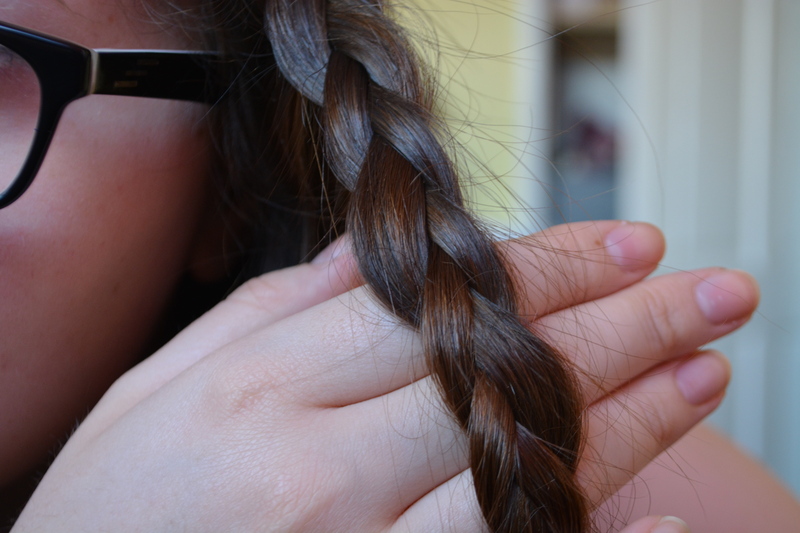 The next thing you want to do is grab both plaits and gently pull them across to the opposite side of your head. 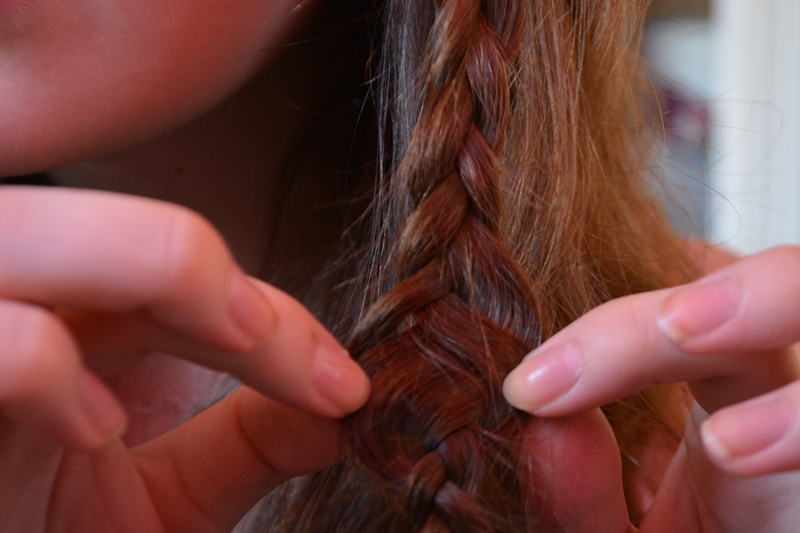 Then tuck the ends underneath the plaits and carefully pin in place, trying to hide the bobby pins as best as you can. This final step is optional but it makes my hair smell, look and feel great so I like to do it. 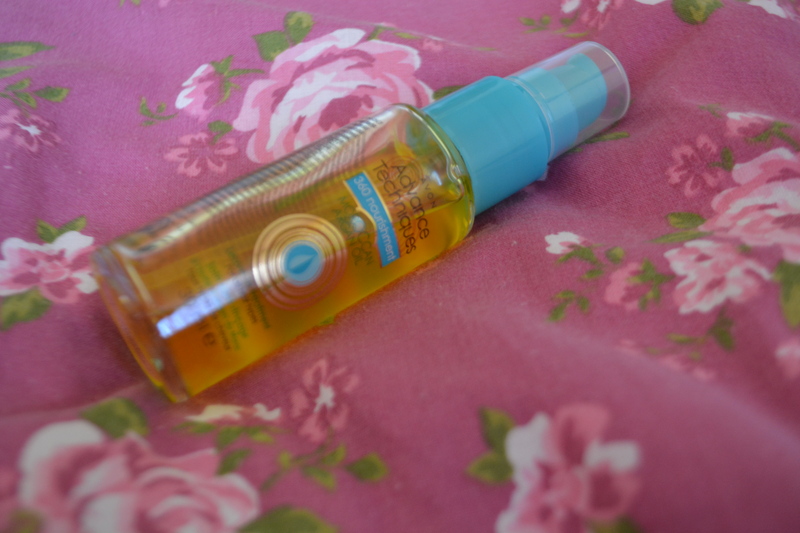 Using a small amount of Avon’s Advanced Techniques Moroccan Argan Oil, or your preferred oil/serum, rub it between your hands and scrunch it through your hair so that you aren’t pulling the waves. And we’re finished! 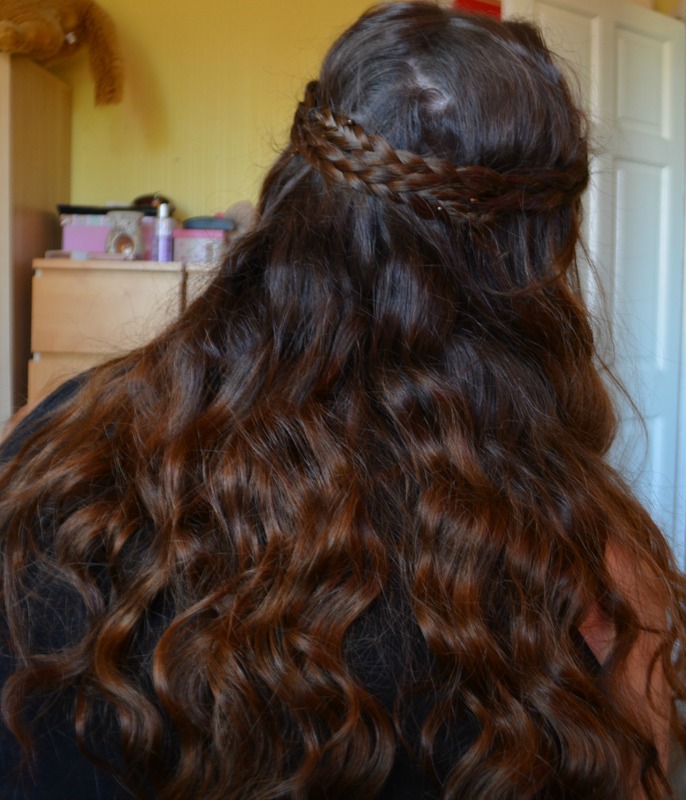 I hope you liked this hair style! Let me know in the comments what you would like to see next time or if you just want me to shut up, goodbye for now little buns!